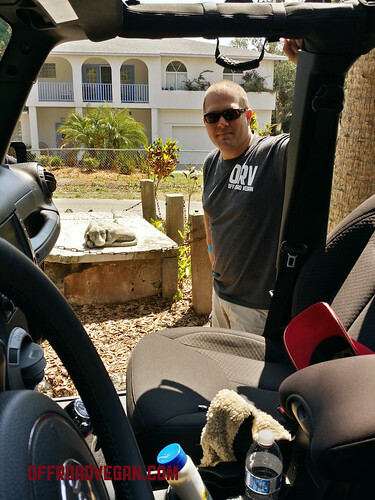 Today culminated one of the biggest achievements yet of Jeep Beach 2014: Completing the scavenger hunt. Pretty cool history off the beaten path. After we completed all the items on the list, we headed back to the condo for some sun and some R&R before cruising out to the first “meet n greet” of the week. The highlight of the meet n greet was roaming around the parking lot, checking out all the amazing rigs from around the country. 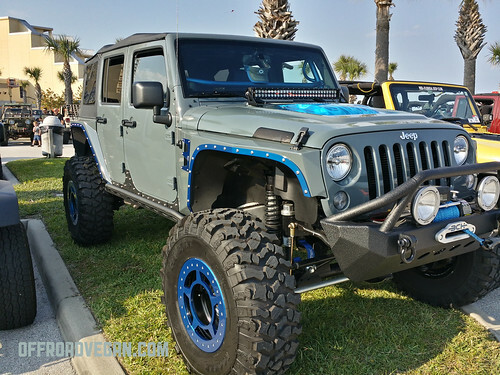 A 2014 JK-8 conversion. The owner did the conversion when brand new. 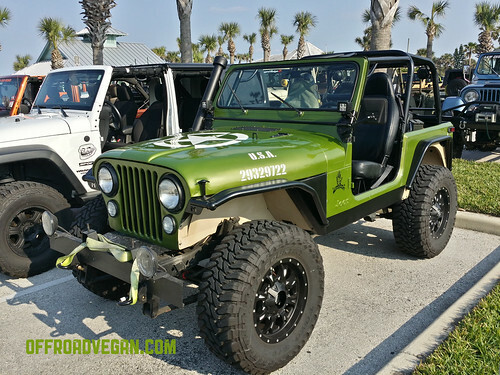 This JK had the most beautiful axles and suspension I have ever seen. Currie Rockjock 80s! 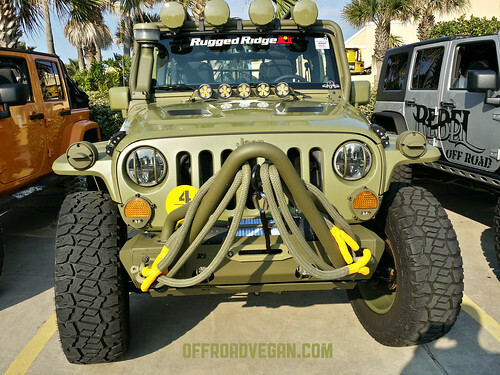 Rugged Ridge’s Army Jeep. Just because you can, doesn’t mean you should. Unless it involves an army-themed Tacticool JK. Then it is fine. After the drool-fest was over outside, we headed inside for some mingling, dinner, and drinks (the hotel made me a special vegan dinner of penne, fresh garlic marinara and garlic bread – super good!) but the drinks we pretty meh. 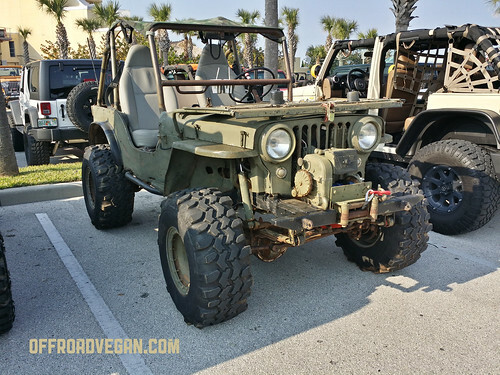 I was able to chat with Bond, the founder of Rebel Offroad and also the Editor of CRAWL magazine (who is also a Northwesterner). 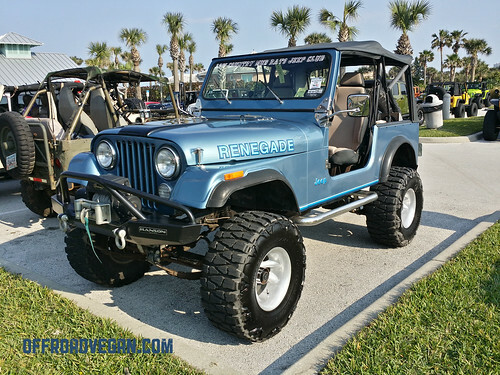 Tomorrow I am looking forward to heading to Daytona Raceway for some Jeeping and to roam around the various vendors. Then it’s the VIP tiky party!